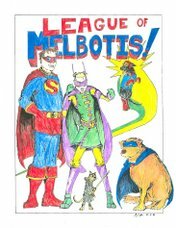 League of Melbotis: Fist bump for the common welfare! Apparently, CNN is endorsing the "fist bump" as a means of preventing us from spreading H1N1. Intriguingly, they point out that greeting each other with terrorist fist bumps will save lives as its less likely to spread contagion than the traditional handshake. As The League could really do without H1N1, and also really enjoys a good dap, we're taking up the fist-bump as our new greeting. 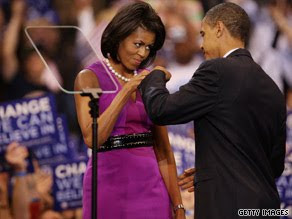 But not only does the leader of our fair nation endorse the fist bump (although I think when Michele Obama tells you to fist bump, you darn well better fist bump), someone we all like, who may not divide us down party lines, would also like for us to greet in a hipper fashion for better health. I don't ever feel hip enough to do the fits bump. 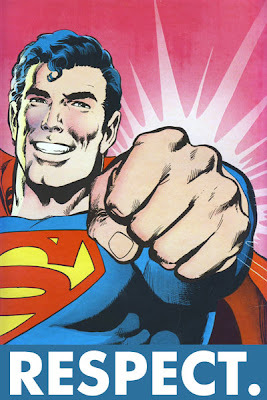 My "no touch" greeting is always one of those flimsy half-salutes. I need to work something like that out. Its alot more polite than wiping down with Purell immediately after meeting someone. When I meet new people, I typically lick them across the face, but afterward, when we're both laughing about it, I reassure them about my relatively disease free status.